Formula 1 needs to change. 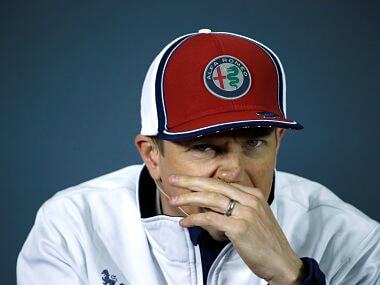 This has been the outcry of teams, drivers, media, fans and even sponsors for the last decade or more. It seems that the new owners of the sport have taken to this suggestion very seriously. First, they changed the logo; next, they banned the grid girls - changes that didn’t appeal to the die-hard fans of Formula One. Those fans wondered if Liberty Media had the guts to change the core DNA of the sport — the complex technical regulations that made the sport expensive and a procession rather than a spectacle. Also, would they be able to change the commercial agreements with the teams — one that actually made the rich teams richer and the poor teams poorer? 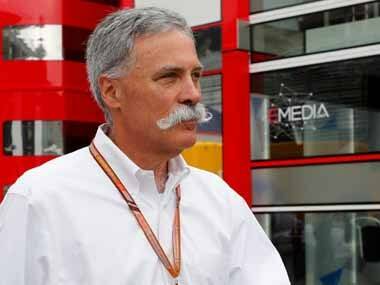 When Liberty Media paid approximately four and half billion dollars to buy Formula 1 a couple of years ago, they knew that the sport had immense untapped potential. They also knew that this potential could be unlocked only if the sport underwent massive changes — even if they were forced upon the stubborn and selfish teams. In a move that establishes Liberty Media's authority in the sport, Formula 1 announced changes in regulations for 2019 that would hope to improve the spectacle by introducing more overtaking opportunities. 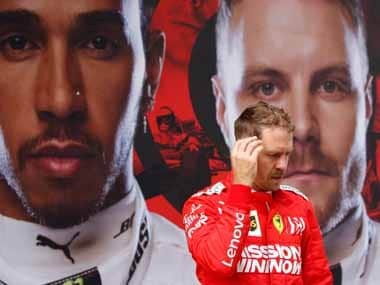 It has been reported that such changes weren’t unanimously approved by the teams but were passed by the Strategy Group and F1 Commission nevertheless. The FIA World Motor Sport Council would require approving these rule changes before they are formally put in place for next season. Such an approval, however, would only be procedural. For 2019, the key regulatory changes will impact the aerodynamics of a Formula 1 car. The sport has simplified the front and rear wings and even the front brake ducts. All these changes have been made with the intent to allow cars to follow each other more closely — an act that should encourage more on-track battles and eventually lead to more overtaking. While there are no guarantees that these rule changes would improve overtaking, the changes are definitely trying to eliminate the current impediments that do prevent overtaking. Apart from the aero changes, there is a higher fuel allowance set for the races next season while also separating the car and driver weight — a move that won’t see larger (read: much heavier) drivers be at disadvantage. As for the higher fuel allowance, the impact could be significant over races that require much fuel-saving. While regulatory changes are constant in Formula 1, the manner in which these changes have been pushed through are somewhat of a breakthrough. It was reported that up to six teams were against these change in regulations with Renault believing that the current regulations for the sport were good enough for the next few years and instead of focusing on piecemeal changes, Formula 1 should focus on the big overhaul being planned for 2021. 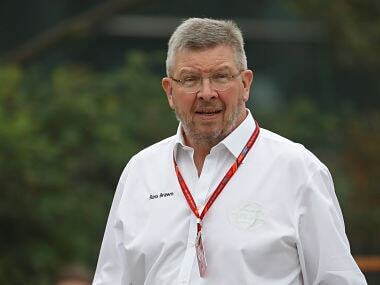 Also, Ferrari, who have the right to veto rule changes in Formula 1, might still spoil the party. But they would have to do so by proving why these rules wouldn’t be good for the sport, rather than just claiming that they weren’t good just for them. The other aspect of these rule changes that should appeal to the fans is the urgency that Liberty Media and the FIA have collectively shown. Why wait for 2021 to improve the spectacle when you can make an attempt for 2019? The announcement of these rule changes comes after three entertaining and edge-of-seat action races in Bahrain, China and Azerbaijan. It is good to see that Liberty Media is aware that while some of the best races of the current hybrid turbo era have been in the last month, there are still areas of the sport that need to be fixed permanently to ensure the longevity of this unpredictability and excitement. Basically, there’s a higher chance to predict that a Formula 1 race won’t be unpredictable. The other interesting part about these aero changes is in the manner in which they were researched upon before finally being passed. The teams ran a CFD (computational fluid dynamics) research of their own which the FIA used as a basis for their report on these changes. This shows that even if these changes do not induce the desired effect on track, all stakeholders are working together to improve the show — such a show of unity was rare in the Bernie Ecclestone era, unless it was to protest against a team being favourably treated. In the long run, this reduced dependency on aerodynamics should further help teams reduce their costs, but this is only after they have revised their complex current designs to adhere to next year’s regulations. All in all, the best way to summarise the impact of these changes is to state the FIA from their official press release: “Studies indicated strong likelihood of positive impact on racing and overtaking”. But then again, we would like to highlight the reaction to Sebastian Vettel’s failed overtake on Lewis Hamilton and Valtteri Bottas into Turn 1 in the 2018 Azerbaijan Grand Prix — damned if you do, damned if you don’t! It isn’t just the sporting side of Formula 1 that is undergoing changes. The content and programming side of the sport is undergoing a massive rethink and overhaul too. In fact, most things off-track (barring the commercial contracts) are easier to fix and for 10 races of the 2018 Season, Formula 1 will air a live post-race broadcast show exclusively on Twitter. This show would be hosted by Will Buxton and Nico Rosberg, the 2016 Formula 1 World Champion. The @F1 handle will also share behind-the-scenes footage, replays and other exclusives. The intent is clear. Formula 1 wishes to reach out to their fans and followers directly via Twitter; they are eager to narrate the stories of the sport themselves and encourage conversations. This is also why Formula 1 has a strict social media exposure policy and has been heavily cracking down on content being published illegally by handles. However, the Twitter deal is bound to upset existing broadcast contracts, especially for channels that have a travelling crew who put together their own post-race show too. Will Formula 1’s post-show take precedence for the teams and drivers over talking to other official broadcasters? Irrespective, broadcast agreements were bound to get disrupted sooner or later by social media and OTT platforms and this might just be the start. The Twitter deal follows the heels of video deals with other major sports leagues such as the MLB, NFL and NBA. 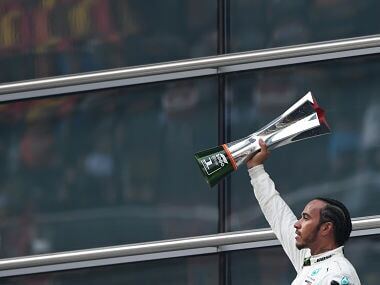 While the cost of this production would be offset by the advertising revenue, this approach from Formula 1 is an attempt to make the sport more social, public and accessible — a far cry from the elite and niche positioning that Bernie Ecclestone built the sport on. With the marketing, branding and distribution side of the sport falling in place, it only makes sense for Liberty Media to push their way through to ensure that the product of racing delivers too.